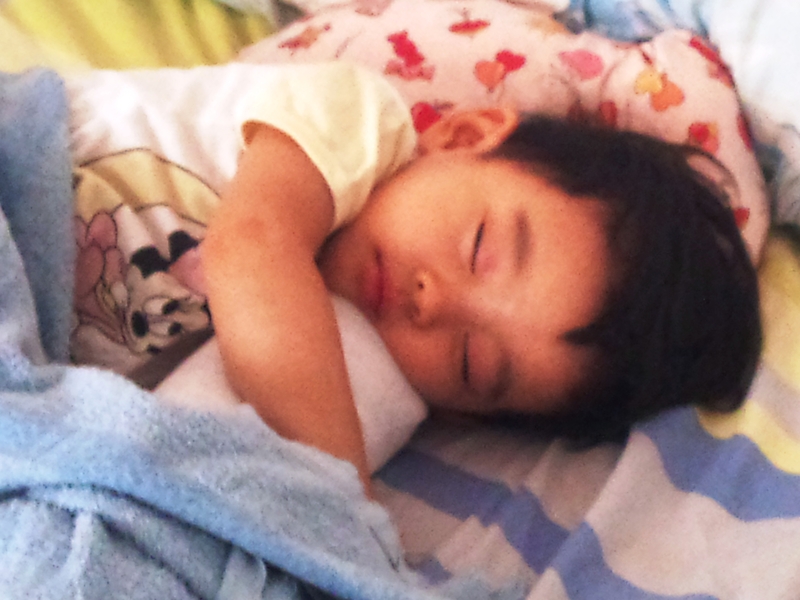 Posted byMei 20 July, 2011 2 March, 2019 10 Comments on Is Eczema affecting your Child’s Sleep? I have often wondered if my baby has enough sleep and how does a lack of sleep affect her? There is no standard must-sleep-how-many-hours and if your child is putting on healthy weight gain and alert and happy during the day, you should not be unduly worried. My baby girl Marcie has always slept 10 hours per day, no matter what different routine we adopt to increase her sleep. The rough guide for a new born is 16 hours per day, 3-6 month old is 13 to 15 hours/day, 6-12 month old is 12 to 14 hours/day and 1-year old onwards is 10 hours/day. I still co-sleep, in fact we kind of take turns to co-sleep. Sorry to hear that it isn’t quite working in your family – it’s ok for mine as we usually knocked out as our bedtime is very late..so not exactly using the bedtime to do anything.. I do think it helps a little with the scratching – cos we’d know and we can do something to help. Her condition isn’t so bad as to need wet wrap or special clothing.. if yours require, maybe can try that to see if it helps with scratching. Sleep was a huge concern in our house – not only for my little one covered in eczema, but for my husband and I who were up half the night trying to help soothe our son from the relentless itching. Eczema takes a big toll on families – stress, lack of sleep, frustrations – it builds up. As parents we have to help our little ones cope, but we need to take time for ourselves too. How about trying wet wraps? Also explore if antihistamine helps (different ones respond differently, some no effect, some helps). Also taken measure to reduce house dust mite? Take care, I know bed time is tough.. also keep room cool + humidifier. It’s a fine balance with the humidity, but do be careful as too low humidity can strip moisture from skin. I actually have a humidifier when my girl sleeps. hey murray… i don’t know if there’s an age limit on this but you should look into immunotherapy. unless you have already and it didn’t help. i don’t know where in australia you live but i’m in adelaide and there’s a great allergist here. my fingers are crossed for you… i know what it’s like to be the kid.